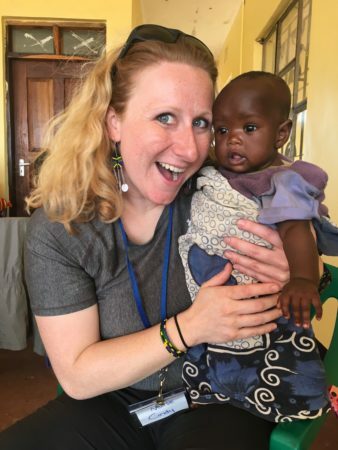 I had so much joy, passion and wonderful experience last fall in Tanzania 2018 that I will be returning for my second Medical Mission with CACHA. I will be working in a Maasai village in Terrat, Tanzania, just a few hours southwest of Mount Kilimanjaro. We performed a trial of caravan style to a community and were able to reach 300 patients in one day. Our goal next year is to visit 4 different communities within the two weeks. To bring primary care to more communities. Being remote and manual labour and farming becomes very difficult to access health care for the Maasai people. I will be joining are other clinicians such as doctors, nurses, paramedics, pharmacists and more. assessments and much more! Working alongside the local nurses, partners and translators. help others to the Maasai people once again. Learning from them as they can learn from us. The individuals on these pages are raising funds in support of CACHA’s mission. The funds are given to CACHA to defray the costs of participation in, and supplies for, the mission, and not for the personal benefit of any participant. CACHA retains control over the use of all donated funds. Once the needs for the program have been met, or cannot be completed for any reason, any remaining contributions will be used where needed most. Terrat is in the heart of Maasailand in North-Central Tanzania, in the Simanjiro District. CACHA partnered with the Simanjiro District Council in February 2014, to bring our first Medical Mission to Terrat. At the time, we were the first Western Medical group to be welcomed into the community. Since then, we have been working hard to build relationships with the Maasai community, the dispensary nurses and clinicians, and the local District Council. September 2019 marks our tenth medical mission to Terrat. We are starting to see healthier patients, improved compliance with medications and a greater understanding of illnesses. More importantly, the nurses and clinicians are becoming more independent, and are starting amazing initiatives to maintain and improve the health of their community. The Maasai are traditionally a nomadic, pastoralist (cattle herding) culture. The tribe is one of the best-known East African populations, due to their distinct traditions, culture, dress, and proximity to many game parks. 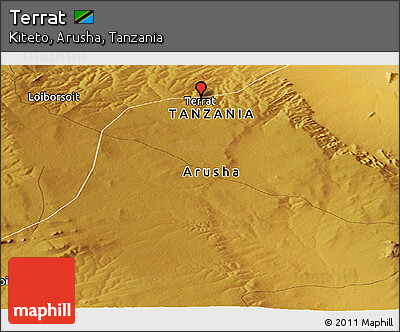 Terrat is an isolated area, being 2.5 hours from the closest city (Arusha). The local dispensary serves a catchment area of >20,000 people, including many surrounding villages. The people of the area have very little, but are incredibly warm, welcoming and accepting. Our medical mission sees an average of 200-400 people per day. We focus not only on seeing patients but on working together with the local clinical team. Capacity building is a primary objective. Recently we have incorporated education sessions in local secondary schools, focusing on menstrual health and hygiene. This mission we will be partnering with Kilipads, a Tanzanian organization working to provide reusable menstrual pads to local schoolgirls. We have supported the building of a local HIV Care and Treatment Center and are continuing to support the development of better health-related infrastructure in the area. Our mission has been developing educational tools for use with the local clinical team as well as with our patients. We will be doing group education sessions with our patients on a variety of topics. The Fall 2019 mission to Terrat will be a Caravan-style mission. We will stay at a guest house in Terrat, and drive to one nearby village each mission day. Two days (one day each week) will be spent at the dispensaries in Nadonjukin, Engonongoi, and Sukuro. Three days will be spent at the Terrat dispensary. Terrat is a wonderful community – please consider joining us in our Adventure!